I know this is a little early, but i think that mother's day is everyday! My mom is my best friend and has gotten me through a lot over the years. She means the world to me and i don't know what i would do without her in my life. She would do anything for me. 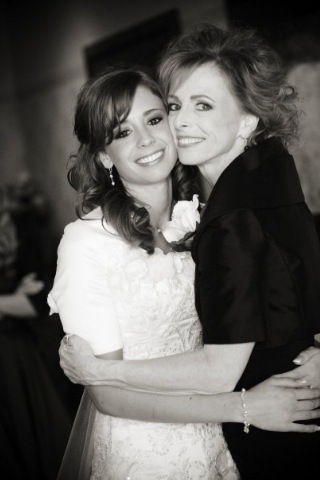 I am so grateful to have such a wonderful mother that loves me and cares for me. I cherish all the memories that i have with her and cannot wait to make more. She is someone i look up to and aspire to be. My mom is such a great example to me and everyone around her. I can only hope to be like her some day towards my children. She is always thinking of everyone else before herself and always doing things for other people. She seriously is the best mom in the world and i wouldn't trade her for anything! I also have another new mom that i absolutely love! Trevor's mom Carolee is so sweet and loving! i just love being a part of their family and love being around her example. She is always so happy and is always thinking of others before herself. She has done so much for Trevor and I and we just love her to pieces. I wish i had a picture with just me and her but i don't! i will find one and post it! Happy Mother's Day to the BEST Moms in the world!